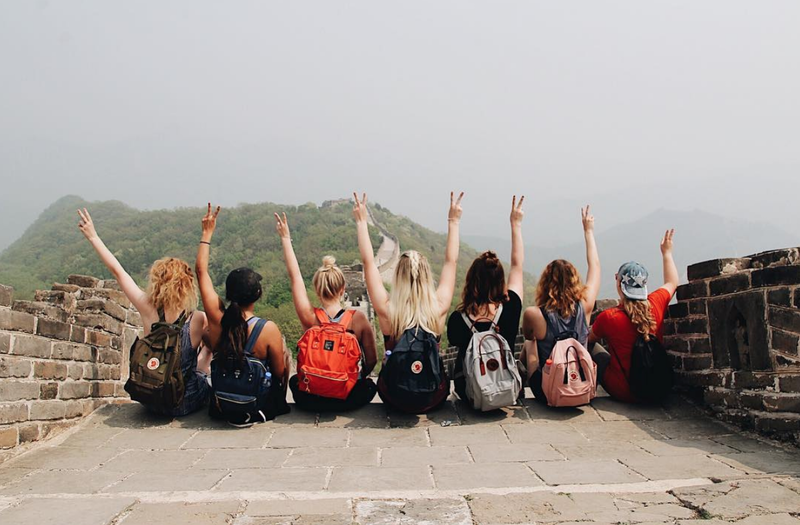 If you’re in Thailand for a short visit or spending a semester there like our ILP Thailand volunteers ... we're a teeny bit jealous. I'm sure you don't need convincing to go to the beaches or hang out with elephants, but you also shouldn't skip out on taking a Thai cooking class. The food here is unreal and getting a behind-the-scenes peek at how to make your favorite dishes is sort of like a dream come true. Pst: We have a guide all about volunteering in Thailand that you may be interested in. Where Can You Take A Class? You will see these advertised all over Thailand in popular cities like Bangkok, the island of Phuket and in the north, in a city called Chiang Mai. Our advice? You’ll really find these all over, but we love taking an afternoon to do a cooking class in Chiang Mai; regionally, the food in Thailand is a bit different and ILP volunteers seemed to adore the curries and version of Pad Thai found in the north, but you'll most likely run into cooking schools no matter where you are in Thailand. Are you looking for a shorter half day class (start cooking at 9:00 and eat at noon?) or are you into an all day class that takes you to a couple different Thai markets plus a farm where you can pick out the freshest lemongrass and get an introduction to galangal. A quick experience or the full deal? Do what fits in your itinerary, but foodies, I suggest you take a longer class if your schedule allows, because the chance to have a guided walk through of these maze-like piles of produce and visiting a local Thai farm is a unique experience that will add to your overall class. You will be eating everything you cook, so this is a big factor to consider! Typically, the half day classes (3-5 hours) mean cooking 3-6 dishes, and the longer classes (9:00 to 3:00 or 5:00) have you cooking 7-9 dishes …. come hungry! Some cooking schools will have a set menu; you’ll easily see what you’ll be cooking and eating. Some menus change and may not be posted online. If you’re into cooking a specific dish, I suggest finding a cooking school where you can read the menu and see what dishes you will be cooking. 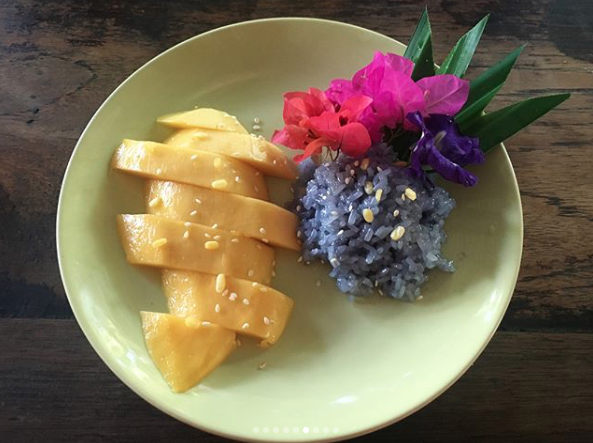 Most tend to include a few staples — Papaya salad, Pad Thai, a type of curry (Massaman, yellow, red and or green), cashew chicken/Tom Yum Soup and rice and maybe dessert, like mango sticky rice if mangoes are in season. 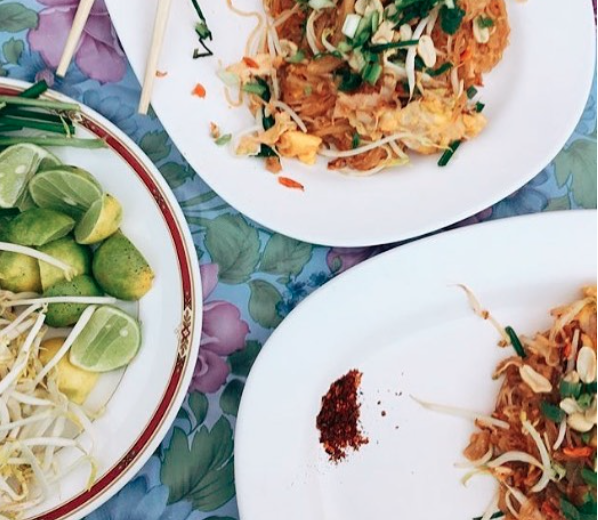 Pst: you may be making a couple of our favorite treats in Thailand in your class. This will vary; classes seemed to be more expensive in the pulsing city of Bangkok (anywhere from 1,000 to 4,000 Baht and more). In Chiang Mai, prices usually hang around 800 - 1300 Baht depending if you want a full or half day tour. 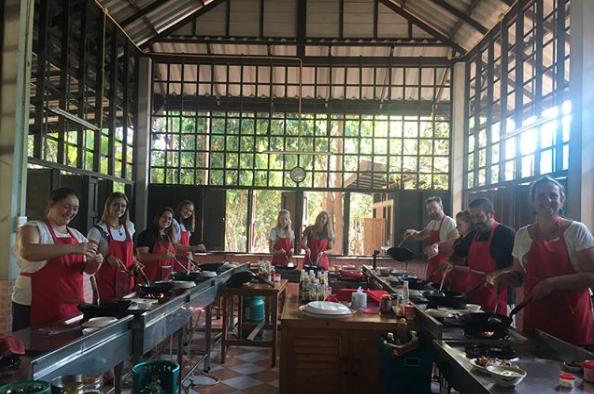 This blogger does great job comparing the pros and cons (and price) of several Chiang Mai cooking schools. Some ILP Volunteers have mentioned getting a bit of discount when they mention they are teachers in Thailand — worth a try, right? So. Fun. You’re typically in a small group (perfect for ILP volunteers!) and you’ll first start off with a short (or long) market tour depending on the length of your cooking class. You’ll bring ingredients back to the kitchen where things are measured and prepped for you. You’ll get a walkthrough of all the ingredients, and start cooking! There’s a chef with you to demonstrate then supervise. 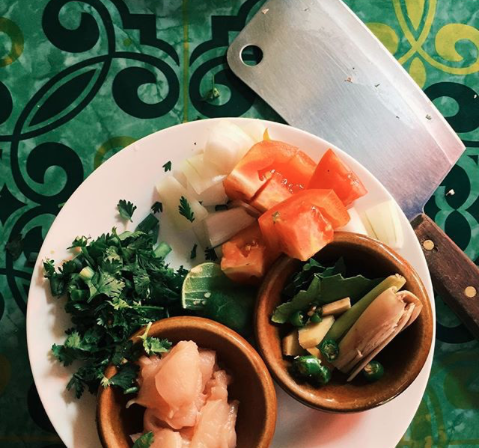 One thing that’s kind of unique to this style of cooking is measuring … there really isn’t any. A lot is done by eye and by taste. If you’ll be making cashew chicken, you’ll keep adding sugar and vinegar until you get that perfect balance of tangy and sweet. At the end of the class, you’ll sit down to a big meal with your group, and eat your dishes, family style. Most cooking schools provide a cookbook of the dishes you just made so you can make ‘em for friends and family after your trip to Thailand. Itching to see Thailand? We love short trip here ... but we love the chance to really experience Thailand by spending a semester abroad in this country. 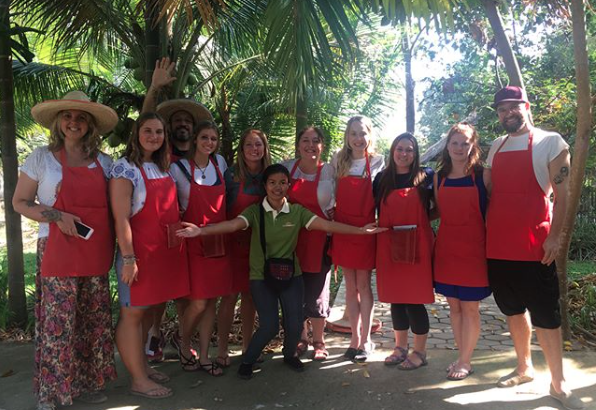 Soak up the sites, experience the culture and feel like a local as an ILP volunteer! You'll be teaching English (no experience necessary) but will have free time, vacation days and every weekend off to see the spots you're dying to see ... like those dreamy Thai islands ? Get more info about volunteering in Thailand here, or by chatting with one of our ILP representatives!